Good Luck to MHS Bowlers today at the Regional Meet at Rose Bowl Lanes in Muscatine. Meet starts at 12pm. CANCELLED! Girls’ Basketball vs. Iowa City has been CANCELLED for tonight and will not be rescheduled. CANCELLED! 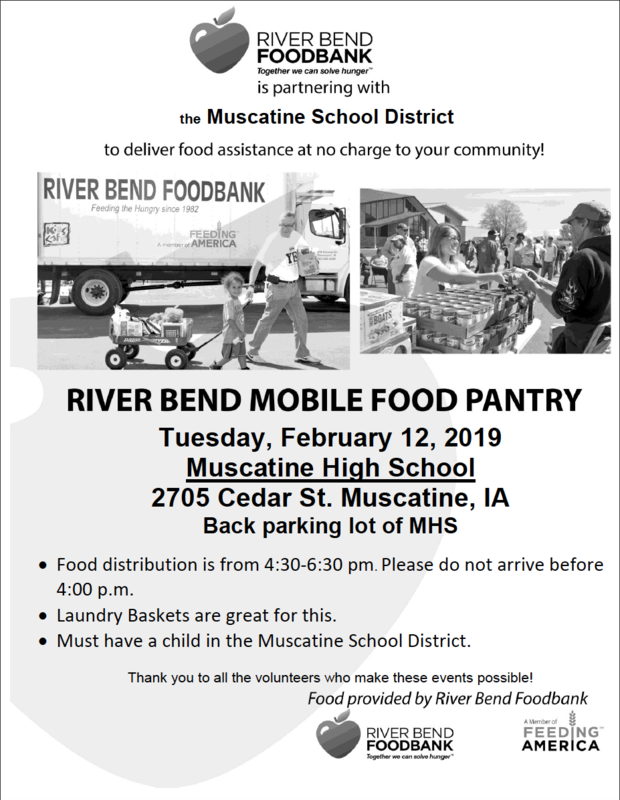 River Bend Foodbank is Coming to MHS on February 12, 2019 4:30-6:00pm.